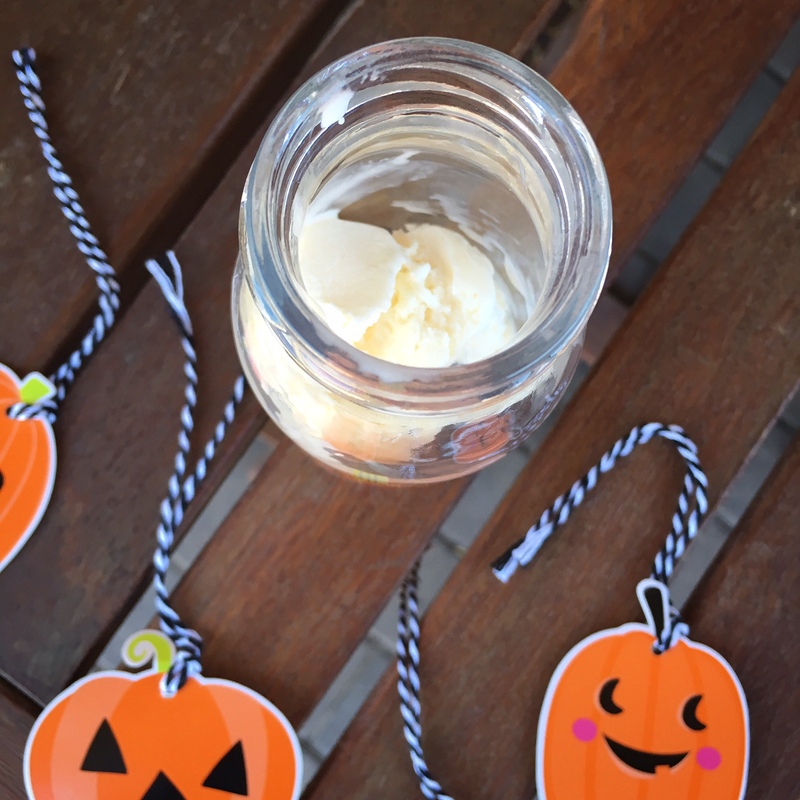 Every October I love to make yummy goodies and enjoy hands-on and spooky activities with my girls. 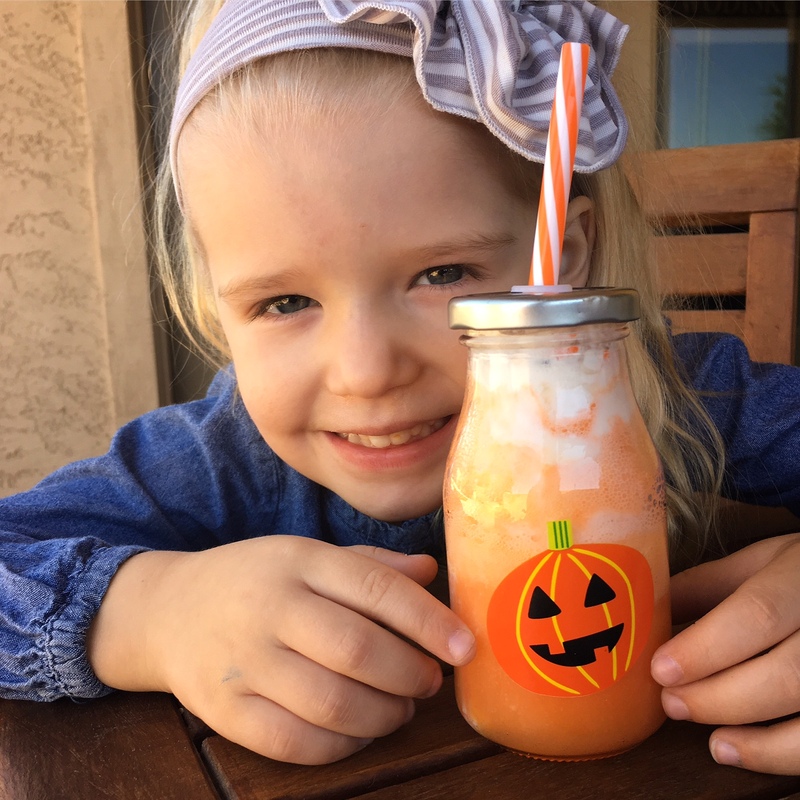 This simple and delicious twist on the classic ice cream float recipe is a perfect way to enjoy the excitement of October with your kiddos. It also makes for a delicious drink to serve at your upcoming holiday party. 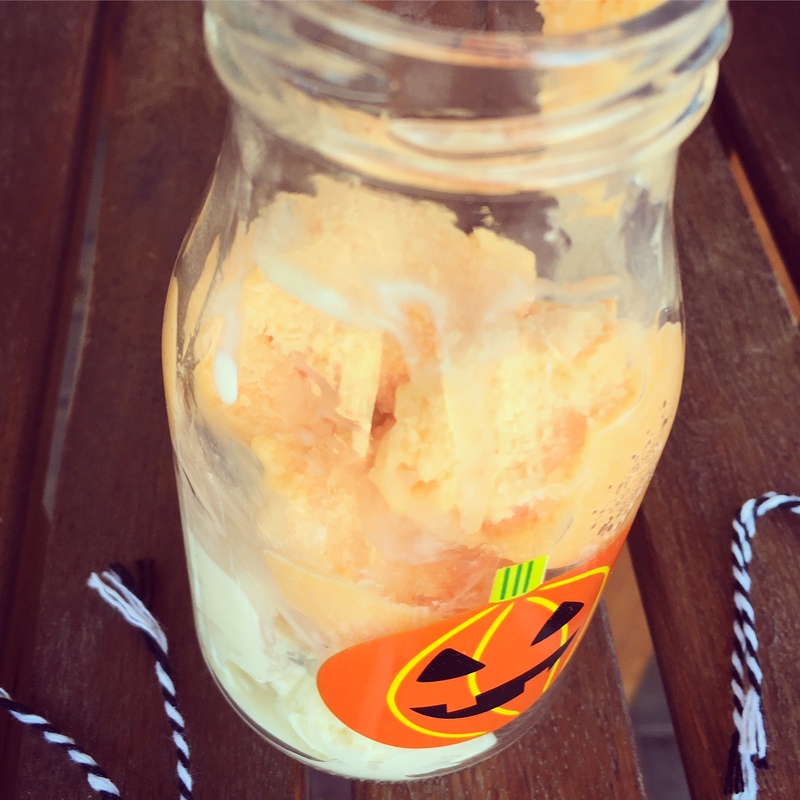 Fill up half of your glass with vanilla ice cream/frozen yogurt and the other half with orange sherbet. 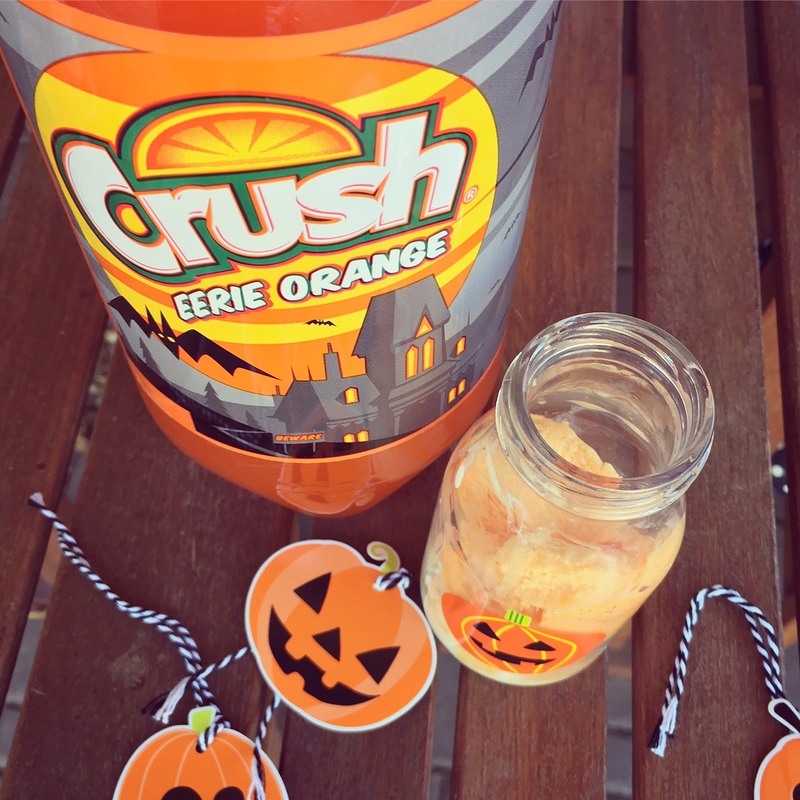 Slowly pour your orange soda into the glass, be ready for the bubbles. 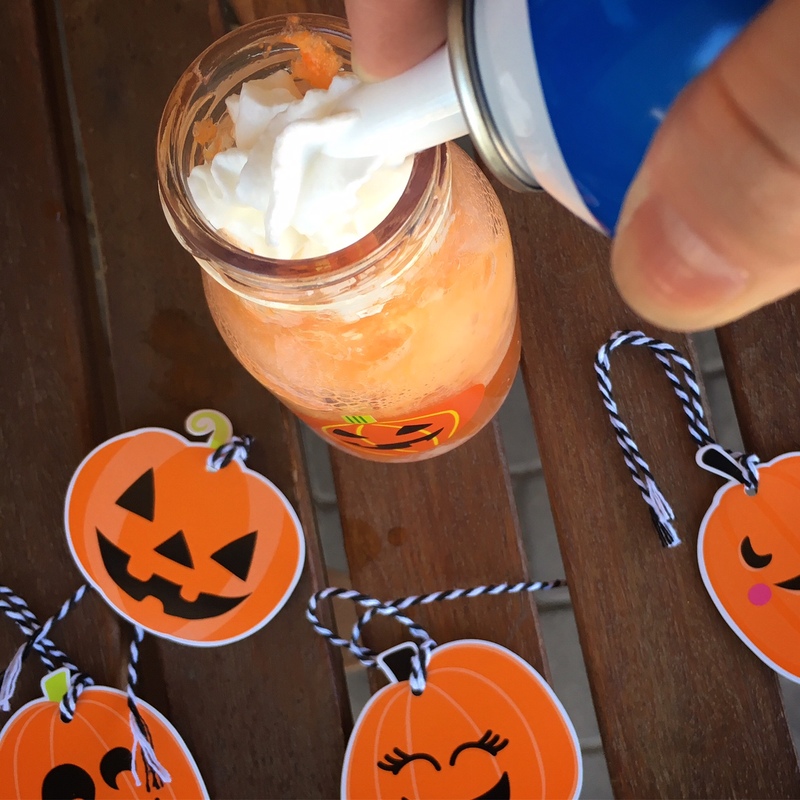 Top off your float with whip cream and sprinkles! 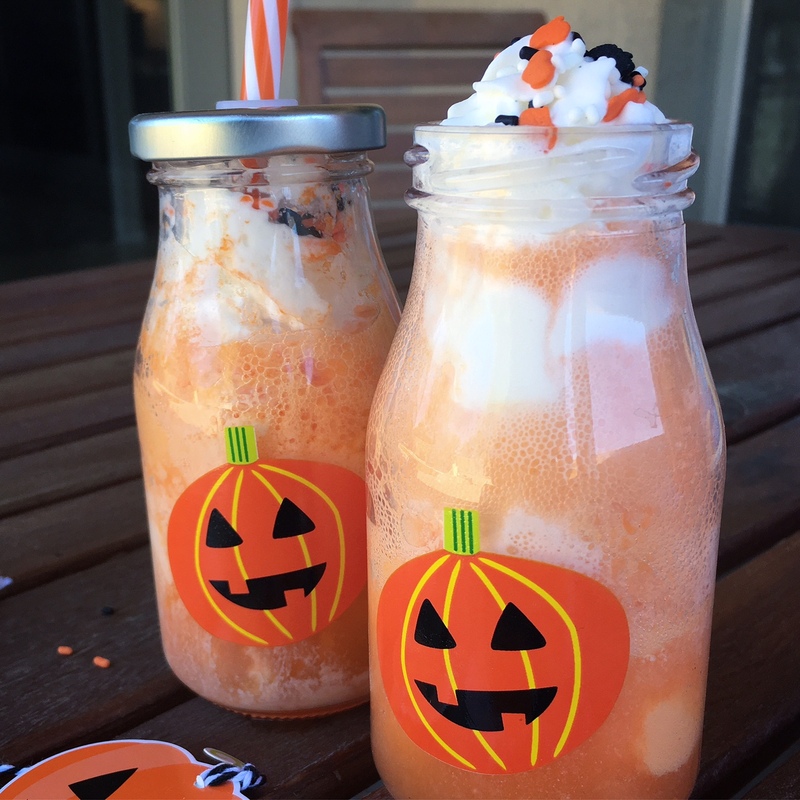 Congratulations you have a fabulous pumpkin-themed ice cream float. CHEERS! 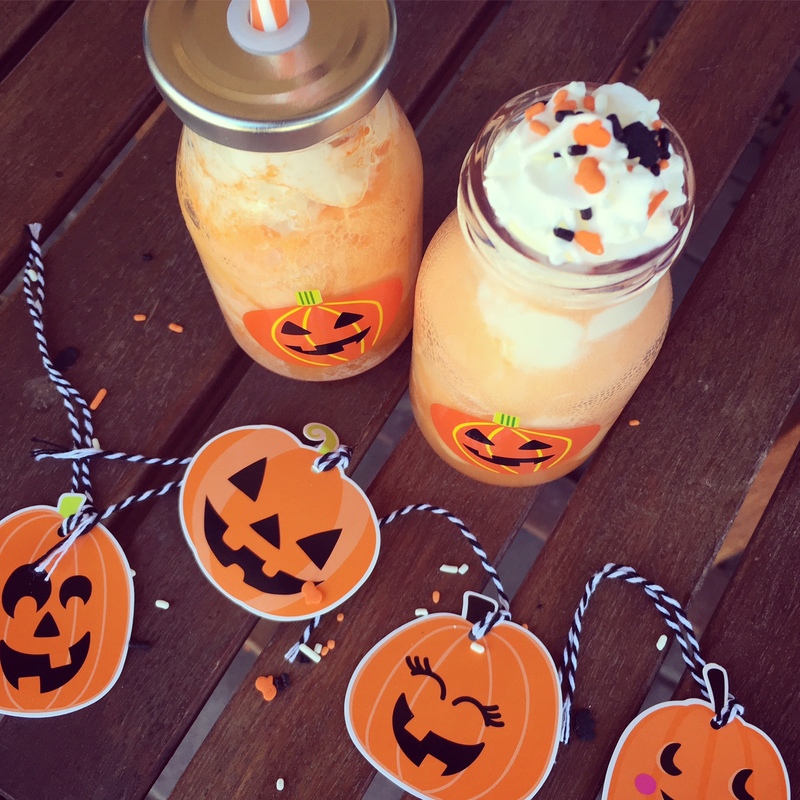 Enjoy your spooky sweet treat! Feel free to get creative with this recipe. 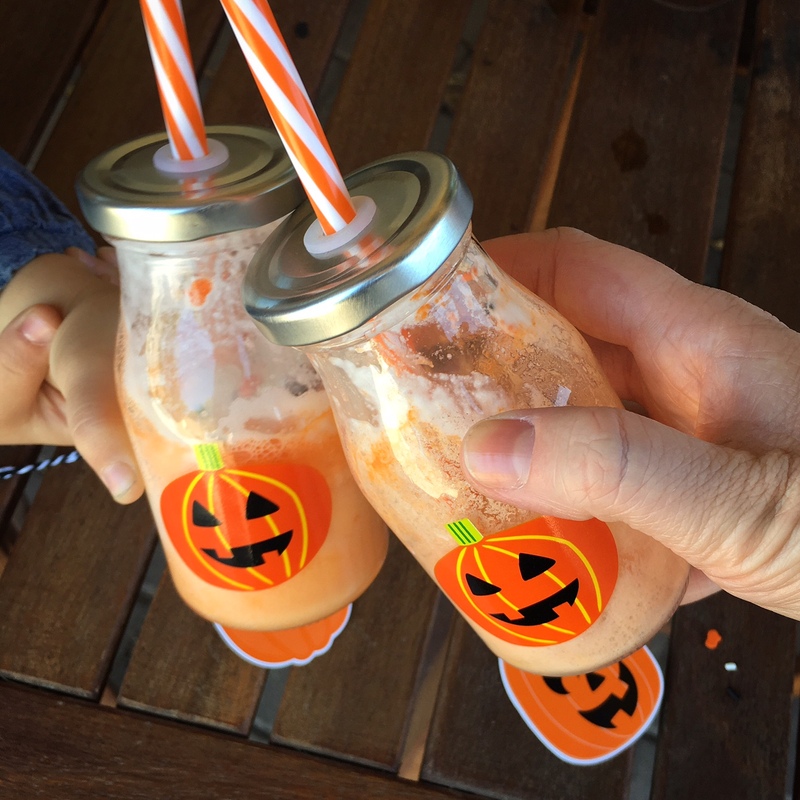 I like to use orange soda with my kids because it is caffeine free, but you can switch it out with Orange Juice. 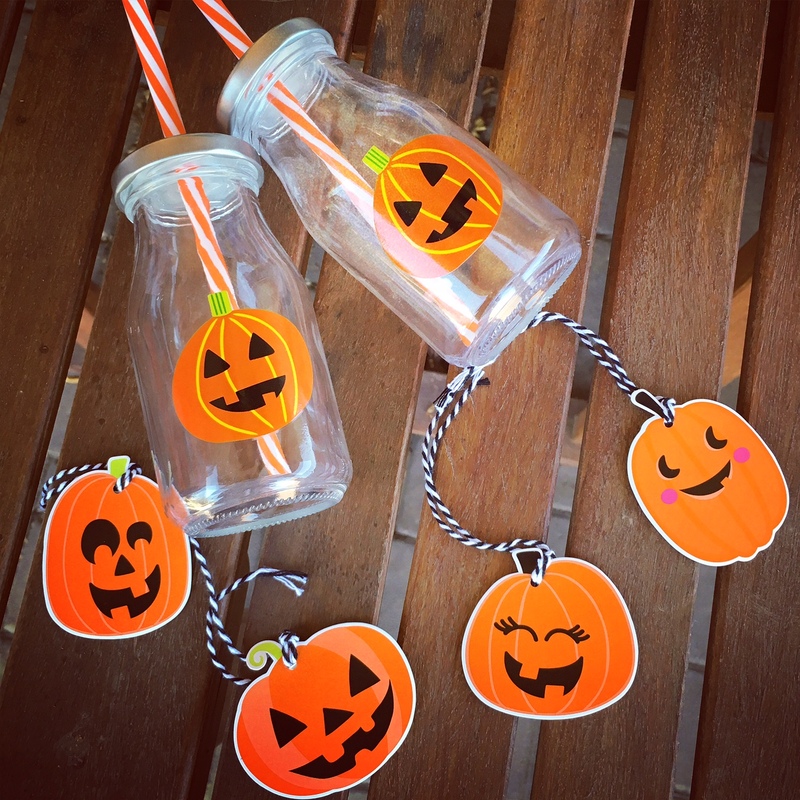 If you don’t have pre-made pumpkin cups, grab a sharpie or black paint and draw one on your clear plastic cups or mason jars. 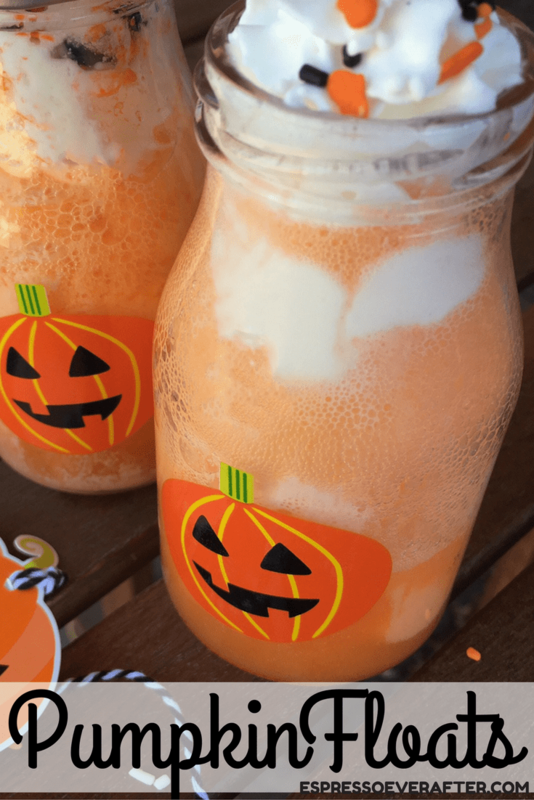 *I found these pumpkin milk glasses in the Dollar Spot at Target. 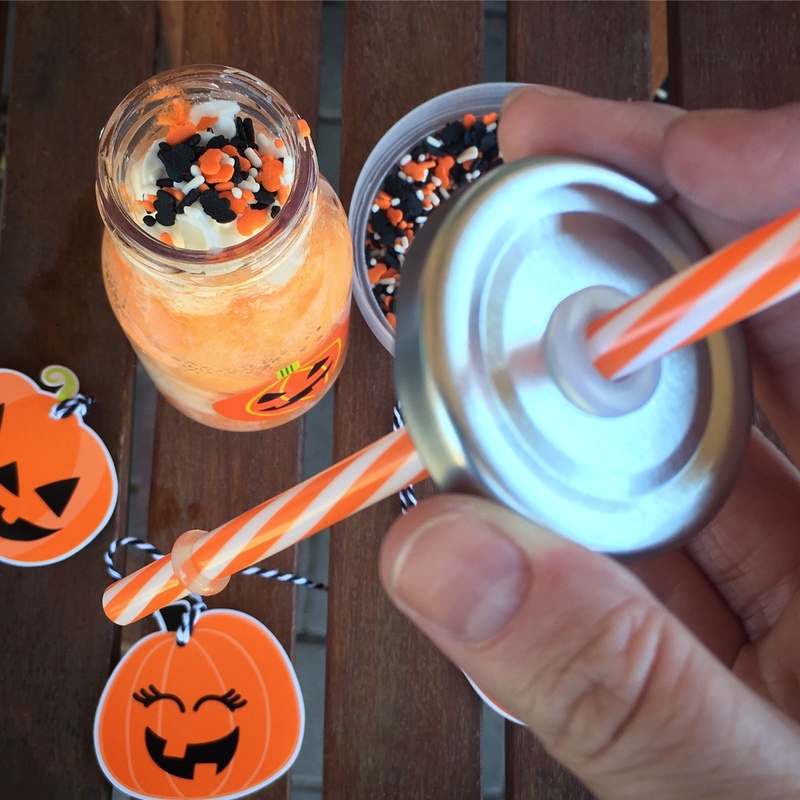 Don’t forget to find a fun halloween-inspired straw to sip out of. 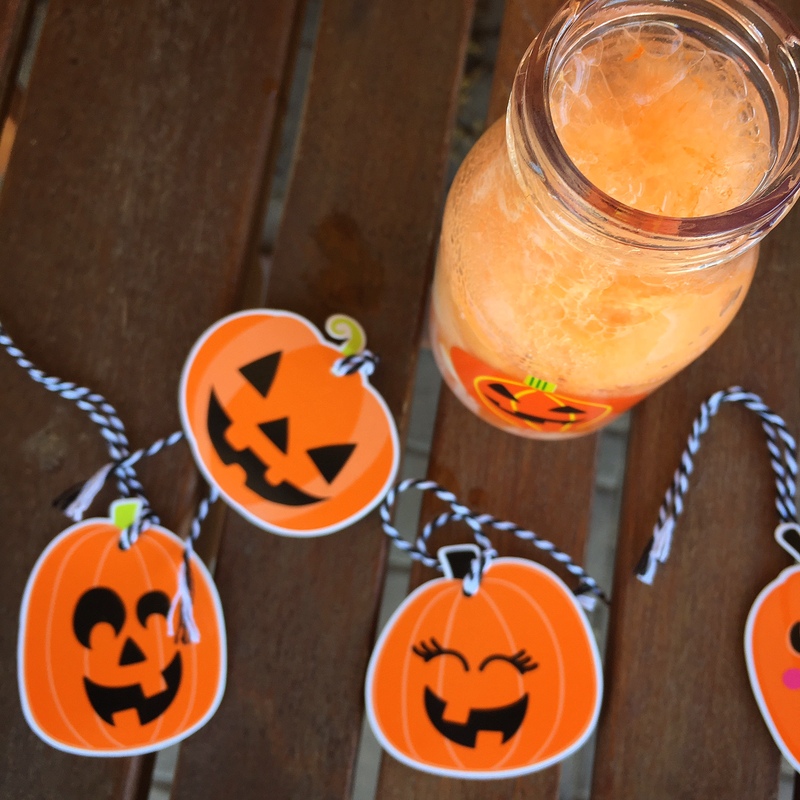 If you will be using this recipe for an adults-only party, I like to use BLOOD orange juice and add a little SPIKED fun to this recipe. 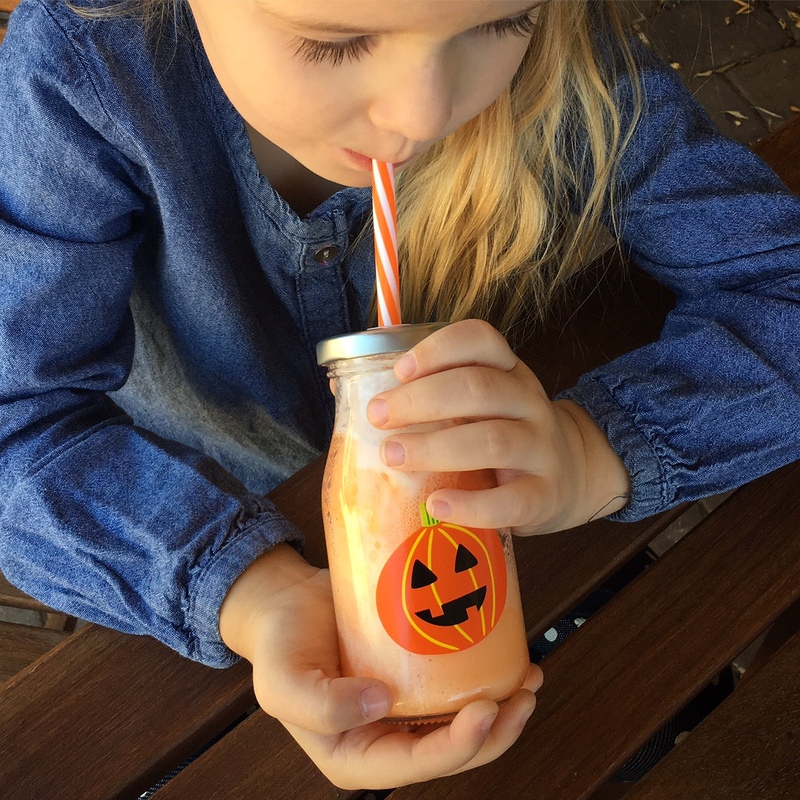 Enjoy all of the spooky & delicious fun that October has to offer! Don’t forget to PIN & SHARE! Oh, what a cute idea! My kids would flip over this! 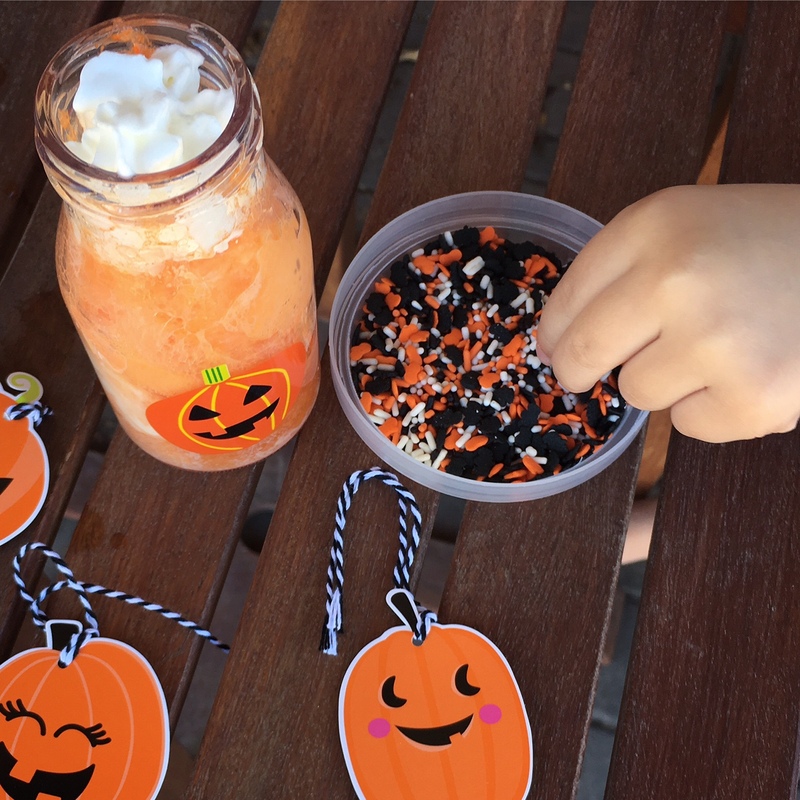 Anything with ice cream, whipped cream and sprinkles! 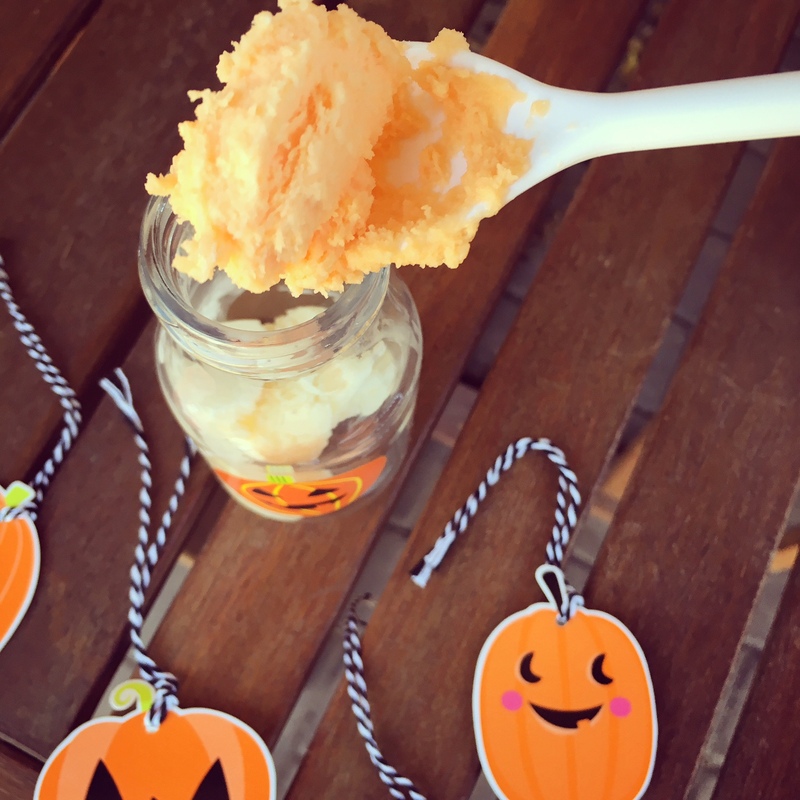 Adorable – pinning now! I am so glad you enjoyed it! Thank you for pinning!